Little Hands Can- SERVE - Simple Service: Gnome Your Neighbor! Simple Service: Gnome Your Neighbor! I am always looking for Random Acts of Kindness ideas. I remember when I first taught my son, who was 3 years old, what a Random Act of Kindness is. Our first act was giving out balloons in a park. At first he wasn't sure he wanted to share the balloons. As soon as he saw me give a balloon away and the happiness it brought to that person, he tried it out! Ever since, he loves to help come up with acts of kindness ideas! 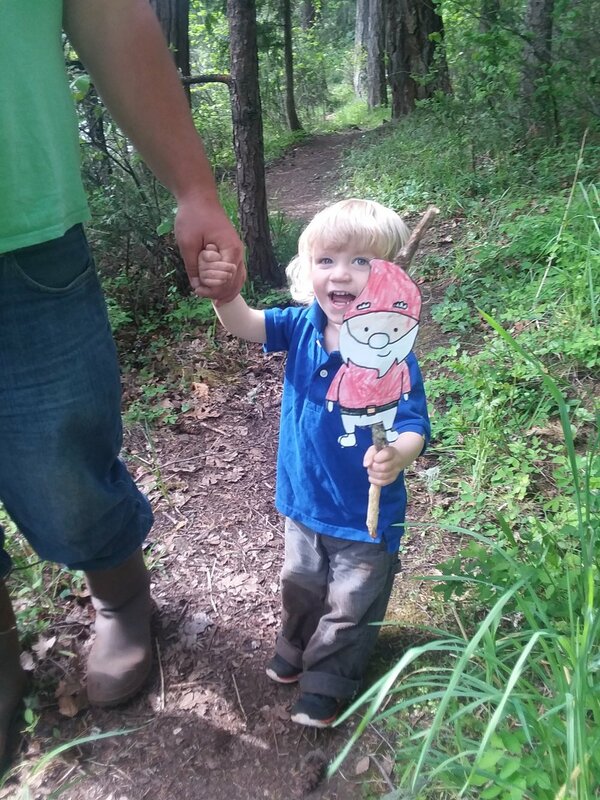 Looking for a new idea, we were excited to find The Gnome on the Roam! 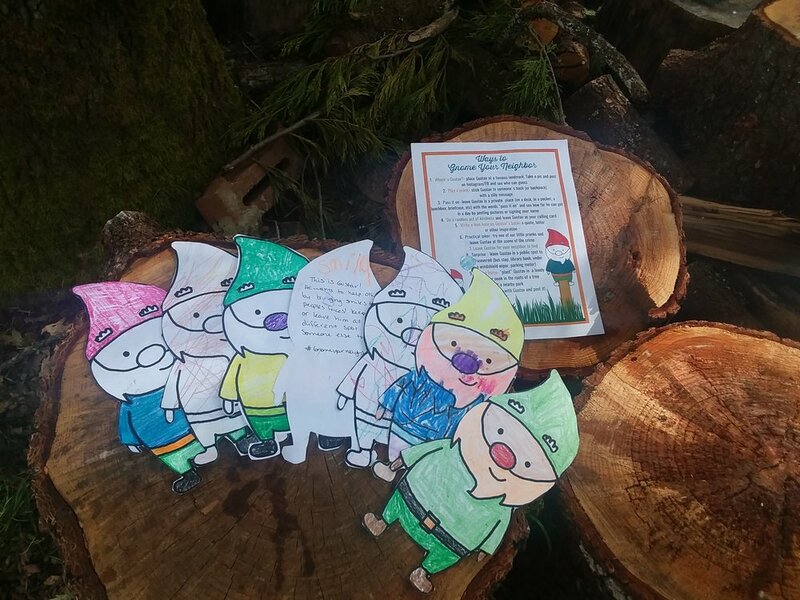 The idea is to spread happiness by leaving these sweet little paper gnomes where others can find them! It is free to sign up for the Gnome Your Neighbor Challenge! 2. Print out copies and color! Both my sons loved coloring the little Gnomes. 3. Cut out the Gnomes. We decided to tape the Gnomes to sticks to make them look like they are standing. 5. Hide your gnomes! We chose to hide ours at a park with forest trails. We hope you have as much fun as we did with this magical activity! It sure brought smiles to our faces. I hope we were able to spread the cheer!